Hello, lovely book nerds. I present to you: THE CONTENTS OF MY BAG! Huzzah!!! So a kikay kit is basically a tiny pouch where I store all of my girly things i.e. some makeup, some hair scrunchies etc. (I also store my toothbrush, toothpaste and contacts solution there but let's file that under "girly things" too) I can't leave the house without this. I don't put a lot of makeup on my face though but it's sort of comforting to know I have something with me if I'd ever need it. Don't want to be caught unprepared! And trust me, if you live in a tropical country where it's almost always humid, you're gonna need something to make your face not look so greasy. Ack! Duh. Driver's license, moolah, plastic moolah (a.k.a. credit card). DUH. Planners used to be much more useful to me back in college. There were a gazillion things I needed to keep track of: deadlines, school events, org activities etc. But now that I'm working I find that I don't need my planner as much, at least for my type of work that is. But I still bring it with me wherever I go even if it makes my bag significantly heavier just in case. I tried using my phone's planner application but it didn't work for me. I like writing stuff down. I like seeing how messy my handwriting is. I like that all my planners are messy. I don't know if it actually helps me remember everything but it makes me feel good. That's a good enough reason to carry around a planner, yeah? P.S. yes, I bring a set of colored pens with me. It's for my planner. Yes, with the added weight of my planner, I still choose to bring around a physical book. I can't resist! I need it just in case I get stuck somewhere (it happens quite often). If ever I'm not feeling the book I brought, I'll go find something on my Kindle. 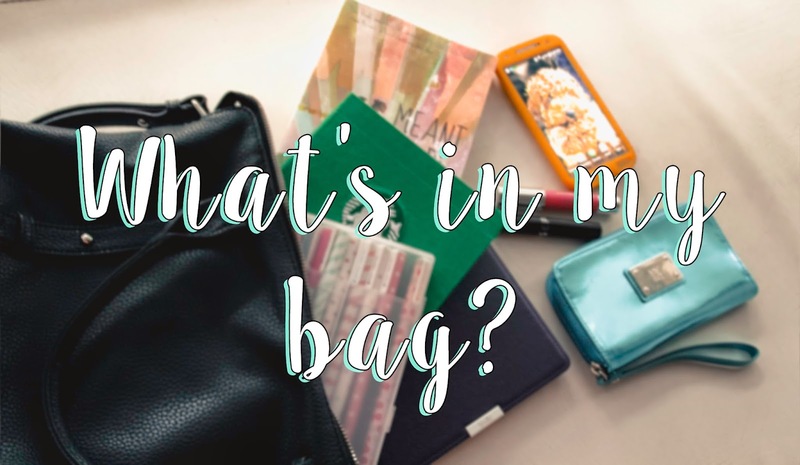 If there's a constant in my bag — it's my Kindle. I may not always bring a physical book (because sometimes my bags aren't big enough) but I always ALWAYS bring my Kindle with me. I have hundreds of books in it so I'm assured I'll have something nice to read. Those are the 6 essentials in my bag. I'm positive I'm not alone in this one. I mean, it's pretty basic stuff, right?